I used GIMP to draw and after couple of weeks I noticed that image isn't as sharp as it was before. 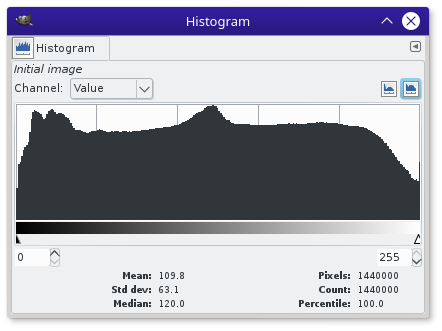 It seems GIMP can't save a file without quality loss: the more times you save file, the less and less quality you get. Is it possible to change that, may be some settings? I'm not talking about exporting, but exactly about saving. 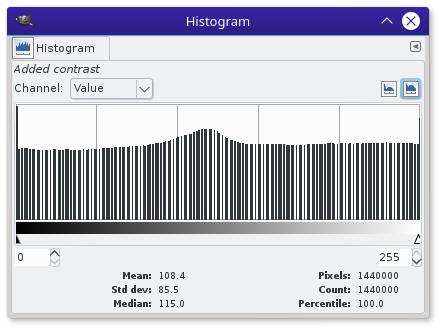 If you are talking about editing and saving a JPEG repeatedly, then what you have descirbed is normal behaviour. JPEG is a lossy format. So, every time you edit and save a jpeg, it will degrade. The more you do that, the worse it will get. This has nothing to do with GIMP. It's because of the JPEG format itself, and how it uses compression. This will happen no matter what image editor you use, including Adobe Photoshop. The solution is to save in a lossless format, such as GIMP's native XCF format, or PNG, or TIFF. You should use GIMP's native format if you want to preserve layers and text layers for further editing. This has nothing to do with Gimp itself and will happen in any image editor on 8-bits/channel images (JPEG/PNG/GIF...). You should try to do these change together in one shot (often using Curves). Another if you use Gimp 2.10, you can also switch the image to high precision (Image>Precision) and use dithering during conversion (here are setting to make that automatic when you load images, if necessary). Color loss will also happen, but will be much less visible. Not the answer you're looking for? Browse other questions tagged gimp image-quality or ask your own question. How to determine what quality a JPG was saved as?